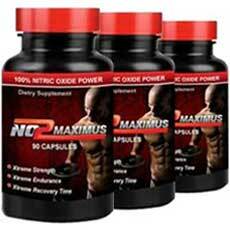 NO2 Maximus Reviews - Does NO2 Maximus Work to Build Muscle? You are a bodybuilder, no, a serious bodybuilder, and the most important thing in your quest for a body that rivals that of a god is that each and every workout session and recovery period yield the maximum benefits possible. You train with the best possible methods in the best possible environment. You fuel your body with the best possible nutrition and rest according to the best possible guidelines. And, when it comes to supplements that will make the most of everything else you do, you will not settle for anything but the best. With all of that in mind, the question for every aspiring god is just not if you should be taking supplements that will maximize all the benefits of what you do but, rather, which supplement is going to give you what you need to achieve your goals. So, as part of our ongoing efforts to help our readers decide which supplement is, in fact, the best possible choice for them, we have decided to take a long hard look at one of the most talked about bodybuilding supplements available on the market today - it's called NO2 Maximus. NO2 Maximus is produced and distributed by NetMarkets, LLC of New York in the United States. They also have facilities in the UK and this product is manufactured under two separate formulas in accordance with the regulations of each country. However, both formulas are said to conform to GMP standards and have not been scientifically substantiated or evaluated by the FDA. This disclaimer may not be the most positive of a statement but it is true of many similar bodybuilding supplements. The main claim by NO2 Maximus is that its proprietary blend (both in the US and UK) which, simply means that the manufacturer keeps the exact ingredients and quantities a secret for industry purposes, is based on the use of the well-recognized element L-Arginine which is widely known for its ability to increase the levels of nitric oxide in the bloodstream. This increase is critical because it is nitric oxide that facilitates the flow of oxygen and nutrients through the bloodstream to the various muscle groups. In doing so, the muscle groups receive the maximum benefit of the oxygen and nutrients available for use. This, in turn, leads to maximum growth of lean muscle mass when combined with top muscle growth methodology and recovery regimens. As noted, since the producers of NO2 Maximus have chosen to use the proprietary blend method to keep their exact formula a secret there is no published list of ingredients that we can show here. However, it should be noted that the producers do publish a lengthy list of its ingredients in relation to various warnings regarding who should and should not take this supplement and under what conditions. Alfalfa, Angelica, Cramp Bark, Cubeb, Dong Quai, Ginkgo, Meadowsweet, Red Clover, Sarsaparilla, Yohimbe see above Not for persons with stomach inflammation/ulcers serious digestion and/or liver problems: May cause gastrointestinal upset: Black Haw, Blue Flag, Chaparral, Club Moss, Cramp Bark, Devils Claw, Eucalyptus, Elecampane, Essiac, Gentian, Ginger, Licorice, Lobelia, Parsley Root, Pleurisy, Pygeum, Solomon's Seal, Tribulus, Turmeric, Yohimbe. Bilberry Leaf, Black Walnut, Blessed thistle, Borage, Cascara Sagrada, Comfrey, Coltsfoot, Chaparral, Elecampane, Ephedra, Flax, Horsetail, Gentian, Goldenseal, Guarana, Juniper berries, Licorice, Lobelia, Lungwort, Mullein, Nettle Root, Rhubarb, Sage, Sassafras, Sarsaparilla, Senna, Sheep Sorrel, Wild Cherry, Wormwood, Uva Ursi, Yohimbe. To be used only under the supervision of an expert qualified in the appropriate use of this substance: Calamus, Horse Chestnut, Lobelia, Licorice, Mandrake, Poke, Tonka. Most bodybuilding supplements offer a number of user reviews on their websites and NO2 Maximus is no exception. The problem with this is simply that manufacturers obviously cherry pick the testimonials that they would choose to use promote their product. That is why we prefer to search for more independent user reviews that can be found on other, non-affiliated websites and chat rooms dedicated to bodybuilding. What we found in relation to NO2 Maximus was not surprising given some of the known facts. The basic theme of the majority of the independent reviews we could find is that the product simply did not deliver on its promise to produce large increases in lean muscle mass. Although we did find that there were some complaints associated with certain side effects that did not seem to play a major role in most of the negative reviews. NO2 Maximus can be ordered directly from the manufacturer website and the first bottle comes with a 14 day free trial. Be sure to note that, in order for the money back guarantee to be honored, the bottle must be returned and the request must be on time. If no request for a refund is made within the 14 day period the manufacturer will continue to send further shipments of the product on schedule and the customer's credit card will automatically be charged until they have received notice to stop future shipments. This product is packaged in bottles of 90 tablets and the recommended dosage is two tablets per day. As we discussed at the start of this review, any serious bodybuilder wants one thing more than anything else when it comes to his or her workouts - that's simply to get the maximum benefit out of each and every session and recovery period. And, after all the thought and work that they put into choosing the right training methods and dietary programs the last thing they want to do is choose an inferior bodybuilding supplement. When looking at what NO2 Maximus has to offer compared to its competitors there are a number of points which must be taken into consideration. First and foremost is the fact that the exact ingredients and their quantities cannot be verified given the proprietary nature of its formula. Although the choice of making L-Arginine its fundamental active ingredient is in keeping with all major bodybuilding supplements there is no way of knowing how effective it is in the context of this product. Add to this important fact the overall negative nature of independent user reviews and it is clear that NO2 Maximus has certain problems that must be overcome with relation to result versus other brands that do make their ingredients list readily available for examination and, among the most highly ranked, have a much higher rate of positive independent user reviews. In the end, when one takes into account the key negatives on top of the less than user friendly purchasing options it would be advisable to look at other products that have a better track record of delivering on the promises made. For more information on highly ranked, top quality bodybuilding supplements available on the market today, click here.